Violin & Viola Lessons for ALL Ages? Children, Teens and Adults Welcome! Violin & Viola Lessons that are all about you! 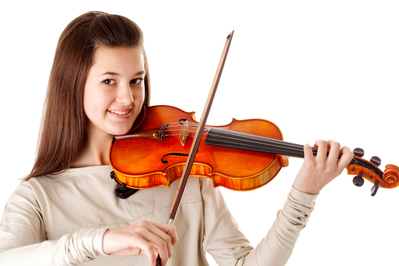 If you are looking for Violin or Viola Lessons you are at the right place. We have lessons for children, teenagers and adults. We teach all levels. Beginners are welcome! At your first lesson your teacher will ask you about goals and musical interest and design a program just for you. Our teachers are college educated, music teachers and musician who are friendly and warm and who remember how much fun it is to discover music. We make it a priority to get to know you on a personal level and to become familiar with your interests, strengths, challenges and goals. We do not treat every student the same in terms of what and how we teach. Each student is an individual and we work with you to create a plan that fits your needs and musical preferences. After you learn the fundamentals, you will be able to choose to play the music you love the most. So whether you want to play fiddle music, classical, jazz, or country; whether you are brand new or an experienced musician preparing for auditions and performances, individual violin, viola or cello lessons are essential to your success, ease and enjoyment. Through a combination of verbal instruction, games, demos, songs and exercises your Champaign School of Music's teacher will help you learn to play with ease. You will love lessons at the Champaign School of Music! ﻿Start ﻿Violin & Viola Le﻿ssons Today! AT WHAT AGE CAN I START VIOLIN and VIOLA LESSONS? You can start essons between 4 years and 104 years. Prior to 4 years old, our Early Childhood Music Program - Music Together (R) is recommended. After 104 years, we are not sure what to recommend. DO I NEED A VIOLIN or VIOLA? Yes, you do! Your teacher will be happy to advise you and give you a checklist of things to look for. ﻿Start Violin and Viola Lessons Today!